BlackBerry in-app payments - What are they? With the announcement of Blackberry App World 2.1 also came the integration of in-app payments as part of its feature set as well as the intorduction of the Blackberry Payment Services SDK. This is something that is awesome for developers and Blackberry App World vendors although, many folks out there are still somewhat lost on what it all means to them as consumers. If you fit into that area, keep reading for a better explanation of what in-app payments are. 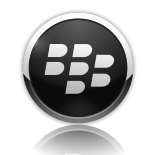 As many of you may have experienced before, sometimes purchasing applications on the BlackBerry platform is not as fluid as it could be. Despite the efforts developers and vendors put in to making it better it's still not an optimal experience at all points. One such example of this is downloading a free trial of an application. In most cases vendors will offer a free trial version and then once the trial is up, if you decide as though you wish to purchase the application you have to delete it then proceed to purchase, download and install the paid version. In this instance, if in-app payments was enabled once the application free trial was up a user could just simply click on a menu and then be taken to a screen where you can enter in your credit card, PayPal information or confirm carrier billing and then be issued a activation code without the need to re-download the "paid" version of said app. Although that is just one example of how in-app payments can be used there is plenty more use cases for the service. What it all really breaks down to for end-users is that you benefit by getting the things you want or need easier, faster and more securely while developers and vendors have a better method of collecting their payments, advertising for their offerings. Whether it be additional levels, costumes or premium content in games or be it a monthly subscription to your favorite digital magazine. When all is said and done, the user advantages over time will go un-noticed and having to not leave your app to purchase upgrades of any sort will be just become the norm. However to developers and vendors of applications, the long term effects of adding in-app payments will be lasting as they now have a new avenue to promote and sell premium add-ons to their offerings.